the limitation on business interest deductions under revised IRC Section 163(j). States that choose to conform to the transition tax appear to have taken two alternative routes: (1) inclusion of the income and the corresponding deduction to achieve the tax rate deduction (i.e., Section 965(a) inclusion after Section 965(c) deduction); or (2) full inclusion (Section 965(a) inclusion without Section 965(c) deduction). Each conformity approach presents different complications for considering how it interacts with existing state treatment of Subpart F income, foreign-source DRDs, and filing methodologies (e.g., worldwide combined, water’s-edge combined, or separate filing). Connecticut has also offered a unique response. The Connecticut Department of Revenue Services issued guidance providing that taxpayers must report Section 965(a) income without the corresponding Section 965(c) deduction.22 However, the department’s Section 965 guidance concludes that because Section 965(a) income is treated as Subpart F income for federal tax purposes, Connecticut’s DRD for Subpart F income will fully offset the Section 965 income that a corporation received from foreign corporations to the extent that such income is not otherwise deducted for U.S. shareholders owning twenty percent or more of the stock. But taxpayers must add back five percent of their expenses related to such dividend income.23 In effect, Connecticut requires taxpayers to include in its corporate income tax base an amount equal to five percent of their Section 965(a) income. GILTI and the FDII deduction, as enacted under the TCJA, are designed to operate in concert.29 Therefore, these provisions are discussed together. Under IRC Section 951A, a U.S. shareholder of any CFC is required to include its GILTI in taxable income for the tax year in a manner similar to that used for Subpart F income.30 In general, GILTI is the excess of a U.S. shareholder’s net CFC tested income over such shareholder’s net deemed tangible income return for a given taxable year.31 As with the effective rate deduction with the transition tax, taxpayers are provided a deduction equal to fifty percent of their GILTI (and related Section 78 grossed-up foreign dividend) under new IRC Section 250(a)(1)(B). This deduction is designed to achieve an effective tax rate of 10.5 percent on GILTI, without regard to foreign taxes.32 Taxpayers are permitted to claim a foreign tax credit for eighty percent of foreign taxes paid on CFCs’ income resulting in the GILTI inclusion. In addition to the GILTI deduction, Section 250 allows corporate taxpayers to take a deduction equal to 37.5 percent of FDII.33 FDII is generally the amount that bears the same ratio to the corporation’s deemed intangible income as its foreign-derived deduction eligible income bears to its deduction eligible income.34 The FDII deduction generally results in a reduced effective tax rate of 13.125 percent on FDII. Unlike the transition tax, GILTI and FDII are applicable to tax years beginning on or after January 1, 2018. States have thus been slower to address GILTI and FDII than the transition tax.35 However, those states that have addressed one or both of these provisions have been faced with the same familiar questions—whether to conform to either or both of IRC Sections 951A and 250 and, if they choose conformity, to determine what that conformity means for their corporate income tax bases. A minority of states—Hawaii and Wisconsin—have legislatively decoupled from GILTI.36 But most states that have addressed GILTI and/or FDII legislatively or administratively have chosen to conform at least in part. States have used other mechanics to fully exclude GILTI. For example, the North Carolina General Assembly overrode the governor’s veto and passed S.B. 99 on June 12, 2018, which excludes the full amount included in federal taxable income under Section 951A (GILTI) and requires the amounts deducted under Section 250 (the GILTI and FDII deductions) to be added back. North Carolina thus effectively decouples from both GILTI and FDII. Other states such as Idaho partially include GILTI.39 Idaho has included GILTI without the corresponding Section 250 GILTI deduction and applies the state’s eighty-five percent DRD. Idaho also requires the FDII deduction to be added back to income. In contrast, Illinois applies its sixty-five percent foreign-source DRD to the full amount of GILTI received (after taking a corresponding Section 250 GILTI deduction).40 Based on form mechanics, it is expected that Illinois—a “line 30” state—will also permit taxpayers to take the FDII deduction when calculating their Illinois corporate income tax base. Oregon has responded aggressively by including GILTI in the state’s tax base without a corresponding GILTI deduction or state deduction. As a result of the state’s updated IRC conformity date—December 31, 2017—the full amount of a taxpayer’s GILTI is included in its Oregon income tax base.41 Oregon’s conformity legislation also requires taxpayers to add back “amounts deducted for income repatriated, deemed or otherwise, under [H.R. 1]” (PL 115-97).42 Thus, the amounts deducted under Section 250 must be added back. Although Oregon generally permits a DRD for foreign-source dividends, a dividend that is not treated as a dividend under IRC Section 243(d) or Section 965(c)(3) does not qualify for Oregon’s DRD. Because the GILTI deduction (nor the FDII deduction) is not a dividend under Sections 243(d) and 965(c)(3), a taxpayer may not use Oregon’s DRD for GILTI. Generally, IRC Section 163(j), as amended by the TCJA, limits a taxpayer’s44 net business interest expense deduction to thirty percent of the taxpayer’s adjusted taxable income (ATI) plus business interest income and floor plan financing.45 A taxpayer’s ATI is the taxable income of the taxpayer computed without regard to: (1) any income, deduction, gain, or loss not properly allocable to a trade or business; (2) business interest income and expense; (3) any net operating loss deduction; (4) any qualified business income deduction; and (5) for tax years beginning before January 1, 2022, any deduction allowable for depreciation, amortization, or depletion.46 Depreciation is excluded from the calculation for tax years beginning before January 1, 2022. The amount of a taxpayer’s net business interest expense that exceeds thirty percent of its ATI is disallowed as a deduction (“disallowed business interest”).47 Disallowed business interest is treated as business interest paid or accrued in the next succeeding year and is deductible to the extent that the taxpayer’s net business interest expense is less than thirty percent of its ATI plus floor plan financing. Any business interest that is disallowed is carried forward indefinitely until used. States that conform to Section 163(j) have issued little guidance, and many questions remain unanswered. 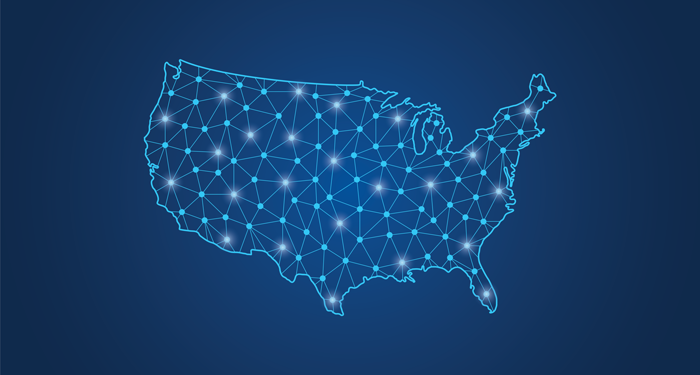 Conforming states will need to determine how the Section 163(j) limitation will operate with their statutory filing methodologies. Although the IRS has issued guidance that a group filing a consolidated return is treated as a single taxpayer,50 the state may require taxpayers to file separately, or as part of a state consolidated or state combined group. These state filing configurations may not be, and likely will not be, the same as the federal consolidated group. Regardless of filing method, states will also need to be cognizant of how, if at all, they will conform to the federal carryforward treatment of the previously disallowed business interest expense, and how those amounts are then spread among the relevant state filers and filing groups. Since the enactment of the TCJA, a significant amount of state legislative and administrative activity has addressed conformity. But state taxpayers need a lot more. Because the transition tax affects the 2017 tax year, most state legislative and administrative activities have been focused on whether a state will conform to this provision, the extent of conformity, and the mechanics of the state tax computation. States should continue to provide more guidance as they evaluate the impact of the TCJA. Jeffrey Friedman is a partner and Todd Betor and Stephanie Do are associates at Eversheds Sutherland (US) LLP. H.R. 1 is more fully known as An Act to provide for reconciliation pursuant to titles II and V of the concurrent resolution on the budget for fiscal year 2018, Pub. L. 115-97, 131 Stat. 2054 (December 22, 2017). A U.S. shareholder is defined as a U.S. person that owns, directly, indirectly or constructively, ten percent or more of the vote of the stock of a foreign corporation. IRC Section 951(b). A CFC is defined as any foreign corporation where more than fifty percent of its stock (either by vote or value) is owned directly or indirectly by a U.S. shareholder. IRC Section 957(a). IRC Sections 965(a), 965(d)(2). The measurement date of the untaxed accumulated E&P is either November 22, 2017, or December 31, 2017, depending on which date the E&P is greater. IRC Sections 965(c)(1) and (c)(2). The resulting liability for the transition tax may be paid over a period of eight years, paying eight percent of the tax in each of the first five years, fifteen percent in the sixth year, twenty percent in the seventh year, and twenty-five percent in the eighth year. IRC Section 965(h). IR-2018-53 (March 13, 2018); taxpayers taking advantage of the election in IRC Section 965(h) to pay the transition tax over an eight-year period should report the tax on Schedule J, Part II, line 19d. The transition tax amounts from Schedule J, Part II, line 19d are reported on line 32 on Page 1 of Form 1120 (Total payments and refundable credits). Notice 2018-07, 2018-4 I.R.B. 317 (January 22, 2018). Cal. Guidance—Taxable Year 2017 IRC Section 965 Reporting (Cal. Franchise Tax Bd. May 16, 2018); S.B. 99 (N.C. 2018); IRC Provisions in the Federal Tax Cuts and Jobs Act of 2017 Adopted by Wisconsin in 2017 WI Act 231 (Wisc. Dep’t of Revenue), www.revenue.wi.gov/Pages/TaxPro/2018/FederalTaxCutsAndJobsActOf2017.aspx (accessed September 18, 2018). Tax Info. Publication No. 18C01-01 (Fl. Dep’t of Revenue Apr. 27, 2018) (with the caveat that should IRC Section 965 income be included in federal taxable income, the income is otherwise excluded from taxpayer’s corporate income tax base); Important Notice No. 18-05 (Tenn. Dep’t of Revenue Apr. 2018). S.B. S7509-C / A.B. 9509-C (N.Y. 2018); NYS Tax Law Section 208(6-a). Notice: IRC Section 965 (Ala. Dep’t of Revenue Apr. 27, 2018); Policy Bulletin IT 2018-01 Exclusion for Dividends from Sources Outside the United States (Ga. Dep’t of Revenue June 26, 2018); H.B. 918 (Ga. 2018); Info. Bulletin FY 2018-23 2017 Illinois Income Tax Guidance—Foreign Income Repatriation Transition Tax (Ill. Dep’t of Revenue Mar. 2018); May 2018 Tax Policy Newsletter (Mich. Dep’t of Treasury May 2018); Deferred Foreign Income under the Tax Cuts and Jobs Act (Minn. Dep’t of Revenue Aug. 10, 2018); Info. Notice Corporation Taxes and Personal Income Tax 2018-1: Tax Cuts and Jobs Act of 2017 (Pa. Dep’t of Revenue Apr. 20, 2018). Idaho applies an eighty or eighty-five percent DRD, depending on whether the taxpayer submits the domestic disclosure spreadsheet to the Idaho State Tax Commission, to Section 965(a) income and disallows the Section 965(c) deduction. S.B. 355 (Idaho 2018). New Jersey applies a ninety-five percent DRD to IRC Section 965(a) income and disallows the IRC Section 965(c) deduction. A. 4202 (N.J. 2018); Notice: New Jersey’s Treatment of Deemed Repatriation Dividends Reported Pursuant to IRC Section 965 (N.J. Div. of Taxation Mar. 16, 2018). Oregon Corporation Excise/Income Tax Update, available at www.oregon.gov/DOR/programs/businesses/Pages/corp-topics.aspx (accessed September 18, 2018). Rule 150-317-0651 (Ore. Dep’t of Revenue June 26, 2018). OCG-4 Regarding the Conn. Treatment of the Federal Repatriation Transition Tax under IRC Section 965 (Conn. Dep’t of Revenue Serv. May 11, 2018); S.B. 11 (Conn. 2018). Similar treatment is applied to GILTI—Connecticut’s DRD fully offsets the GILTI (without the corresponding IRC Section 250 GILTI deduction) for U.S. shareholders owning twenty percent or more stock, but five percent of related expenses must be added back. 505 U.S. at 80 (“If one were to compare the aggregate tax imposed by Iowa on a unitary business which included a subsidiary doing business throughout the United States [including Iowa] with the aggregate tax imposed by Iowa on a unitary business which included a foreign subsidiary doing business abroad, it would be difficult to say that Iowa discriminates against the business with the foreign subsidiary. Iowa would tax an apportioned share of the domestic subsidiary’s entire earnings, but would tax only the amount of the foreign subsidiary’s earnings paid as a dividend to the parent”). 430 U.S. 274 (1977). Taxpayers have not necessarily been that successful in arguing for this apportionment representation. See, e.g., Caterpillar, Inc. v. Commissioner of Revenue, 568 N.W.2d 695 (Minn. 1997), cert. denied, 522 U.S. 112 (1998). 445 U.S. 425 (1980) (to be engaged in a unitary business, the relevant entities must share centralized management, economies of scale and functional integration). See, e.g., Staff of S. Comm. on Finance, 115th Cong., Explanation of the Bill [Tax Cuts and Jobs Act] (Comm. Print 2017). The deduction is reduced to 37.5 percent for taxable years beginning after December 31, 2025, resulting in an effective rate of 13.125 percent on GILTI. IRC Section 250(a)(1)(A). For taxable years after December 31, 2025, the deduction is reduced to 21.875 percent. This also means that we may likely see states change their responses to GILTI/FDII for subsequent tax years. S.B. 2821 (Haw. 2018); A.B. 259 (Wis. 2018). H.B. 918 (Ga. 2018). H.B. 918 also provided that the deduction under IRC Section 250 would apply to the extent that the related income is included in Georgia taxable income. Other states that have issued guidance excluding GILTI due to the state’s treatment of Subpart F income include Indiana (for U.S. shareholders owning eighty percent or more stock), Kentucky, Michigan, and North Dakota (for worldwide combined reporting taxpayers). H.B. 1316 (ss) (Ind. 2018); Info. Bulletin No. 116 (Ind. Dep’t of Revenue July 2018); KY-TAM-18-02, Global Intangible Low-Taxed Income (Ky. Dep’t of Revenue Aug. 17, 2018); May 2018 Tax Policy Newsletter (Mich. Dep’t of Treasury May 2018); Notice: Tax Cuts and Jobs Act of 2017—North Dakota Tax Treatment of International Tax Provisions (Office of State Tax Commissioner Aug. 2018); S.B. 1529 (Or. 2018). Explanation of the Impact on Ill. Tax Revenue Resulting from the Federal Tax Cuts and Jobs Act (Ill. Dep’t of Revenue Mar. 2018). ORS Section 317.010(7); S.B. 1529. ORS Section 317.267(1); S.B. 1529. Complete Auto Transit, Inc. v. Brady, 430 U.S. 274 (1977). See Notice 2018-28, Section 2 (noting that the Amended IRC Section 163(j) limitation applies to all taxpayers, except for certain taxpayers that meet the gross receipts test in Section 448(c), and to all trades or businesses, except for those listed in IRC Section 163(j)(7)). IRC Section 163(j)(1). Business interest means and includes any interest properly allocable to a trade or business. IRC Section 163(j)(5). S.B. 11 (Conn. 2018); H.B. 918 (Ga. 2018); H.B. 1316 Ind. 2018); S.B. 2119 (Tenn. 2018); A.B. 259 (Wis. 2018). Cal. Rev. & Tax. Cd. Section 17024.5(a)(1); Tex. Tax Code Ann. Section 171.0001(9).